BOCA RATON, FL — Boca Raton Football Club and sportswear brand, Topper have come into a partnership in which the brand will supply the club with balls, gloves cleats and training equipment for the 2018-19 season. In the South American sports market since 1975, Topper has sponsored some of the biggest teams in the world, including the Brazilian National Team who won the 1982, 1986, and 1990 World Cup Trophy wearing Topper. Topper was also the sponsor of FIFA Club World Cup champions Corinthians in 2000 and São Paulo in 2005. In 2015, the brand was acquired by BR Sports and in 2016 Topper returned to the Brazilian market and so far have sponsored six clubs including, Botafogo, Grêmio, Paraná, and Ceará Sporting Club. 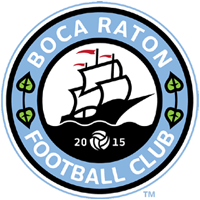 Boca Raton FC is the brand’s first team outside of South America as they look to expand their global reach far beyond Brazil. For more information on Topper, please click here.